"For variety, substitute one pound of cooked Italian sausage for one box of the spinach. You can use your own favorite home cooked tomato sauce or use sauce from a jar in place of the sauce in this recipe." 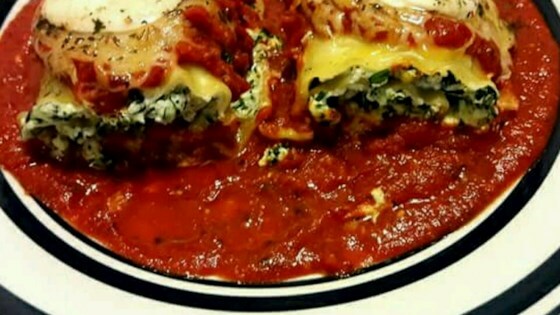 Pretty good but next time I would stuff jumbo shells instead of rolling lasagna noodles because its easier. I also would substitute one pkg of spinach with other vegetables. Yummy! This is a great way to use up extra lasagna noodles and clean out the fridge without wasting any food.